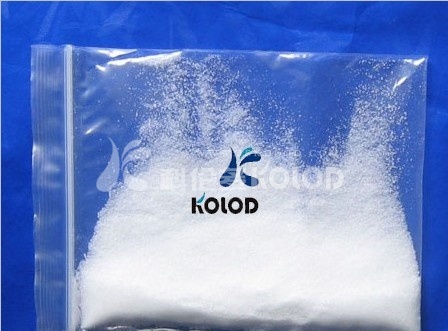 People’s Republic of China national standard food additive potassium citrate | Jiangsu Kolod Food Ingredients Co.,Ltd. 5.1 food additives potassium citrate by the quality supervision and inspection department of the production plant to carry out inspection. The manufacturer shall ensure that all products are manufactured to meet the requirements of this standard, each batch of manufactured product should be accompanied by a certificate of quality, including: factory name, product name, batch number, production date, net weight, the standard number etc..
5.2 the use of the unit shall have the right to carry out the acceptance of the product quality received in accordance with the provisions of this standard, and the results shall be in conformity with the requirements of this standard. 5.3 each batch of products shall not exceed 2T. 5.4 according to GB 6678 in the 6.6 and GB 6679 in accordance with the provisions of 2.3.1 sampling. Total sampling shall not be less than 500g, should be fully mixed, stored in two clean, dry, airtight window, labeled, indicating the name of the production plant, product name, batch number, date. For a test, a sample for reference sample for six months. 5.5 if there is any index that does not meet the requirements of this standard, it shall be re tested in a sample of two times the amount of the package. The result of re inspection, even if only one does not meet the requirements of this standard, the whole batch of products are not qualified. 5.6 when the supply and demand sides of the product quality of the dispute, in accordance with the “national product quality inspection of the interim measures,” the provisions of. Food additives, potassium citrate, lined with food grade polyethylene film and double layer kraft paper or double layer food grade polyethylene film bag for inner packaging, outer packaging plastic woven bag. The net weight of each bag is 25kg, the allowable error is + 0.5%, but also can be packed according to the user’s needs. Transport should be kept in a complete package, waterproof, moisture, and is prohibited from mixing with toxic materials and mix, should be stored in a cool, dry and ventilated place. 6.4 this product from the date of delivery in line with the provisions of this standard storage conditions, storage period for a year and a half.